StlToday – St. Louis needs a bailout. There is another option. Let’s pull that sentence apart. First, “Just do it.” A municipal bankruptcy is not something you “just do.” A municipal bankruptcy is the end of a very long process during which all the normal services local government provides grind to a halt. 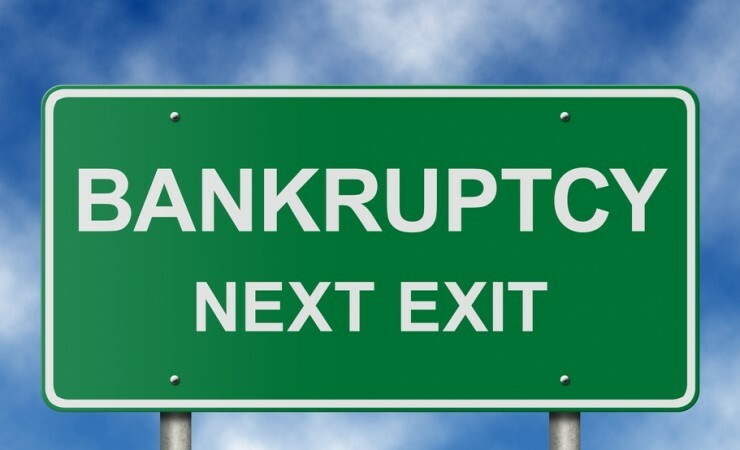 A municipal bankruptcy is a financial state in which a city literally can’t pay its bills. Can’t make this week’s payroll, can’t make next week’s scheduled debt payment. Fitch suggests we follow Detroit’s path into bankruptcy. When Detroit entered bankruptcy in 2013, its one year operating deficit was something like $328 million. For a single year. I am not a cheerleader for St. Louis’ finances, but we are nowhere near the dire shape they were in. Second, “Save the county from being pulled down with them.” Is there really a them? Fitch has plenty of disdain for St. Louis, but let’s not assume everyone in the County hates St. Louis. We are all in this together, whether we acknowledge it or not. We both need each other. A hundred thousand County residents work in the City. Untold numbers of County residents own businesses or property in the City, have family here, and are regularly in the City for parks, events, restaurants, work, friends. In short, life. And it works the other way too. Fitch wants to imagine a moat around the City that prevents contact between two neighboring civilizations. Reality is obviously much different, hundreds of thousands of people cross between City and County every day. There is no them. There is only us. But Detroit. Detroit was truly a financial wreck, and no one should take pleasure in that, or see it as a path to follow. In the run-up to bankruptcy, residents in Detroit endured over a decade where basic services just dried up. Miles of streetlights were out. Police response times to emergency calls were an hour. Fire trucks were dispatched by fax machine. Public employee salaries were cut, and on and on. Paralleling the financial and service collapse was a rolling human tragedy for residents. This is what we’re trying to avoid, not copy! Are there shades of Detroit in St. Louis? Of course. But municipal bankruptcy is not a first, second or third option for a City. It’s the last option when there are literally no other options. Why? Because the years preceding a bankruptcy are absolute misery for residents. And Tim Fitch should not kid himself that residents of St. Louis County won’t feel some of that misery too. City residents would personally endure real financial pain in the run up to a bankruptcy. Their property values would decline, robbing them of wealth they’d accumulated (particularly working class home owners). The built environment around them would decay, including public infrastructure and private property. And the crisis in confidence that comes before a bankruptcy would lead to more population decline and disinvestment. Is St. Louis in great shape? No. Are we in Detroit 2013 shape? Also no. The median value of a single family home in St. Louis: $123,800. Detroit: $42,800. Per capita income in St. Louis: $26,739. Detroit: $16,433. St. Louis poverty rate: 25% Detroit: 38%. Correcting for population size, St. Louis has only roughly 25% of the debt Detroit had when it entered bankruptcy. While St. Louis is obviously in a degree of distress, we simply maintain a larger tax base relative to our obligations than Detroit has. Despite headline grabbing quotes to the contrary, St. Louis is not a recession away from bankruptcy. And what happens during a bankruptcy? Cities have two main categories of long term obligations. Debt to various financial institutions and investors for capital improvements, and pension and related expenses for retirees. Bankruptcy in Detroit meant already retired public workers had their existing pensions reduced. In some cases they actually had to pay back funds that had accumulated pre-retirement which they had yet to withdraw. When Fitch says of bankruptcy, “just do it,” He’s saying, “Let’s just take away some the benefits we owe retired police officers, surviving spouses, firefighters, and other public employees.” Guess where many of these retired workers live: St. Louis County. If bankruptcy comes, it’s coming just as hard for Tim Fitch’s constituents. Unification of the region would ultimately improve everyone’s overall financial position, and allow growth anywhere within the region to benefit all of us. But just as importantly, it puts us all on the same team. St. Louis may be bumping along with a flat tire, but Tim Fitch’s suggestion that we smash out the windows too isn’t going to help. Fragmentation has been recognized as a drag on the region for over 100 years, no one recently invented this idea. We can keep bumping along, throwing stones at each other across that invisible line 600 feet west of Skinker, or we can put some air on the tires. 24th Ward Alderman, St. Louis City. Serving the neighborhoods south of Forest Park.